Since my children were babies, we have an annual tradition at the start of the year – Strawberry picking! It’s always so much fun to visit a strawberry patch and watch the kids hunt for the ripe berries while they sample a few along the way. When we lived in South Florida, we would pick strawberries starting in late December/early January. In North Florida where we live currently, we have to wait an extra month or two since the weather is cooler. 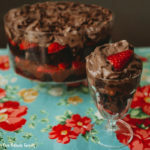 So for now, I headed to the grocery store to grab a pack of strawberries labeled Fresh From Florida, so that I know they are locally-grown, and prepared the the most amazing 5-minute dessert: Chocolate Strawberry Trifle. 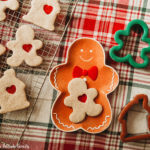 Check out more delicious Fresh from Florida recipes HERE! This is seriously the easiest 5-minute dessert you will ever assemble. Begin by gathering the ingredients. The most challenging part is preparing the instant chocolate pudding. Combine the package of dry ingredients and 2 cups of cold milk, whisk it together, and let it sit for about 5 minutes to set. 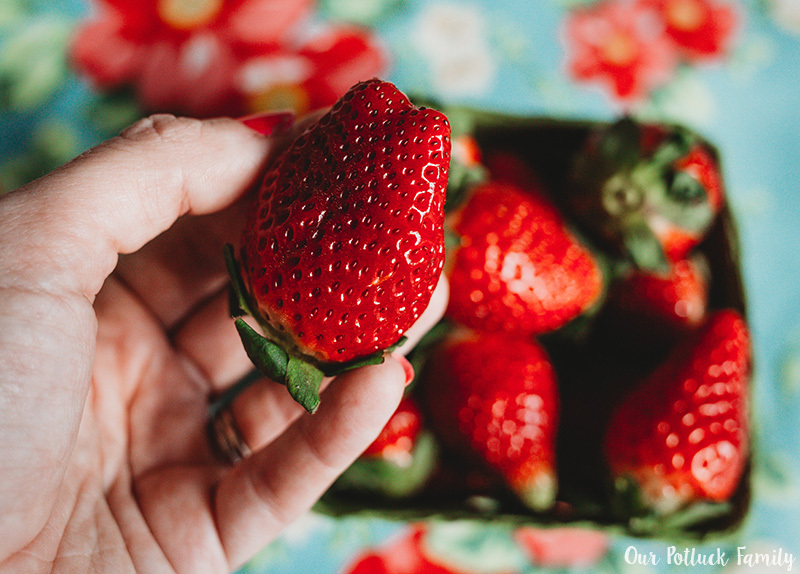 In the meantime, prepare your Fresh from Florida strawberries. I rinsed and dried them, sliced off the top, and halved each one. Look how ripe and juice they are, ready to eat. Cut the prepared chocolate pound cake into bite-sized cubes, about one inch each. 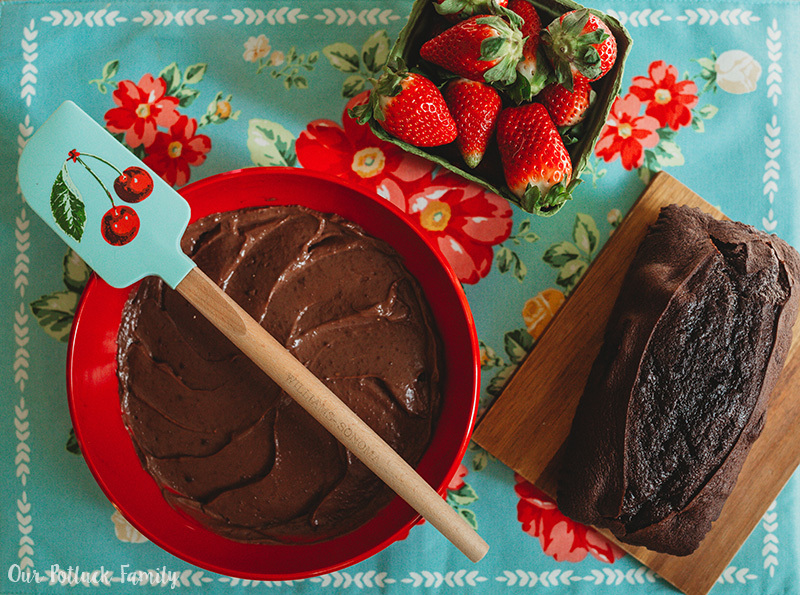 You could be all fancy and prepare your own chocolate pound cake from scratch, but seriously, it is totally unnecessary for this recipe. 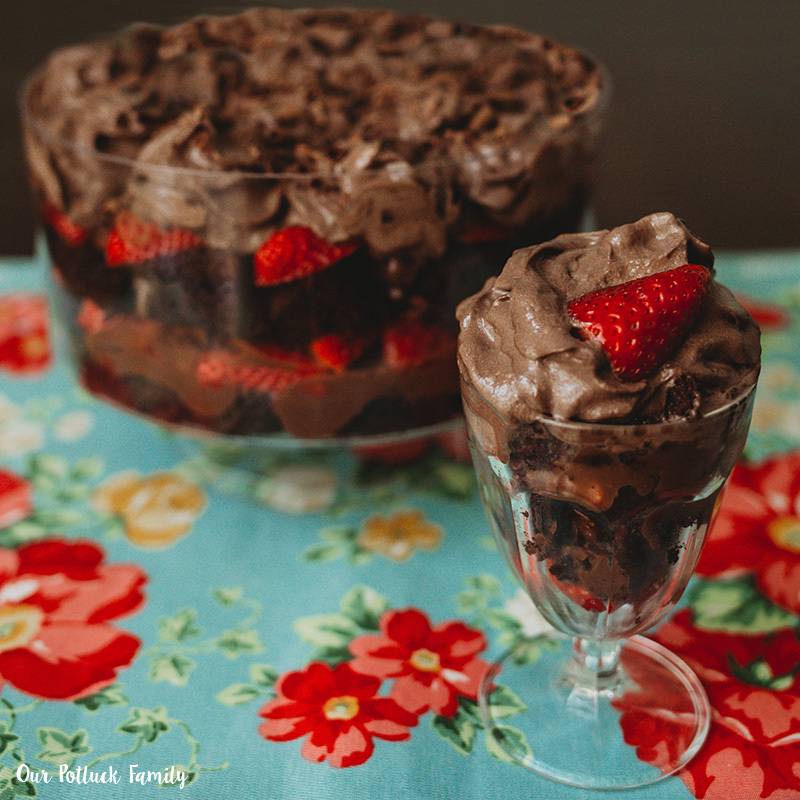 A store-bought chocolate pound cake is perfect for this chocolate strawberry trifle. Next up, assemble your dessert. I began with a layer of the cubed chocolate pound cake, followed by a layer of chocolate pudding, and a layer of strawberries. Repeat this cake-pudding-strawberries sequence again. This beautiful six-layer dessert is almost complete! 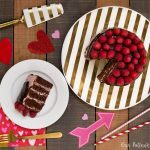 Once your chocolate strawberry trifle layers are assembled, just top with whipped cream and chocolate shavings and serve in individual dessert glasses. 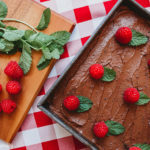 I found chocolate whipped cream on my shopping trip, and it was the perfect topping for this dessert. 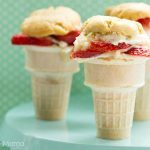 Traditional whipped cream works as well! 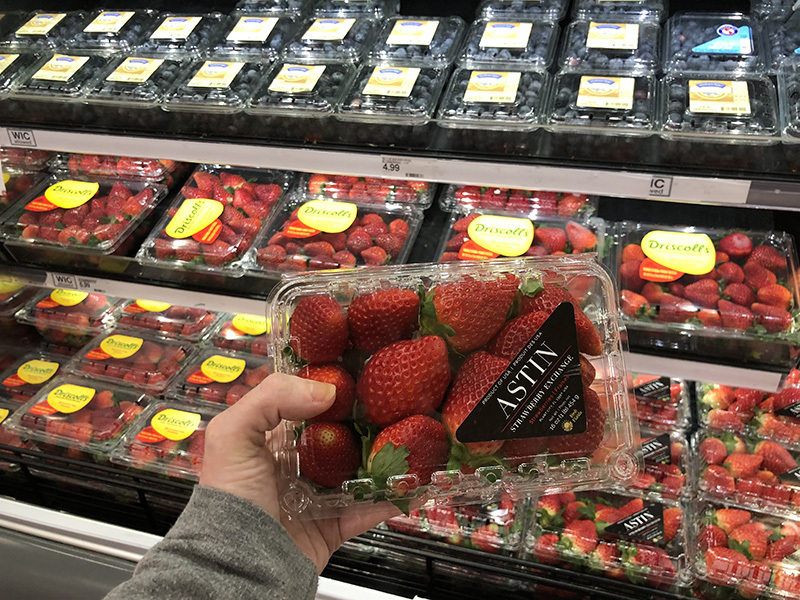 Head to your local grocery store where you can find the Fresh from Florida label on strawberries and other locally-grown produce. Florida farmers make it easy for everyone to eat fresh produce year-round. Look for other produce and seafood labeled Fresh From Florida. 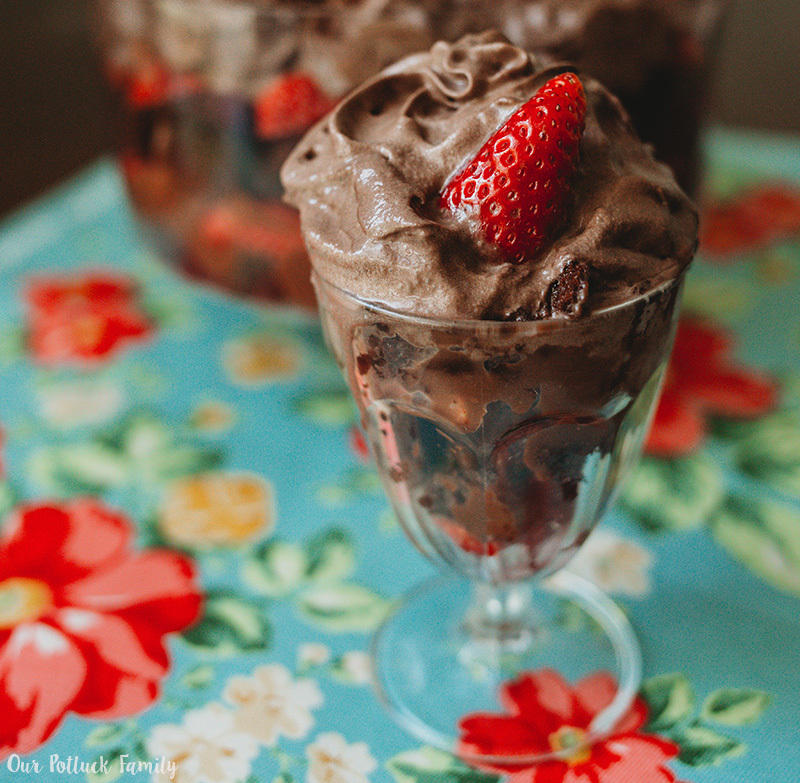 Pin this Chocolate Strawberry Trifle image below! 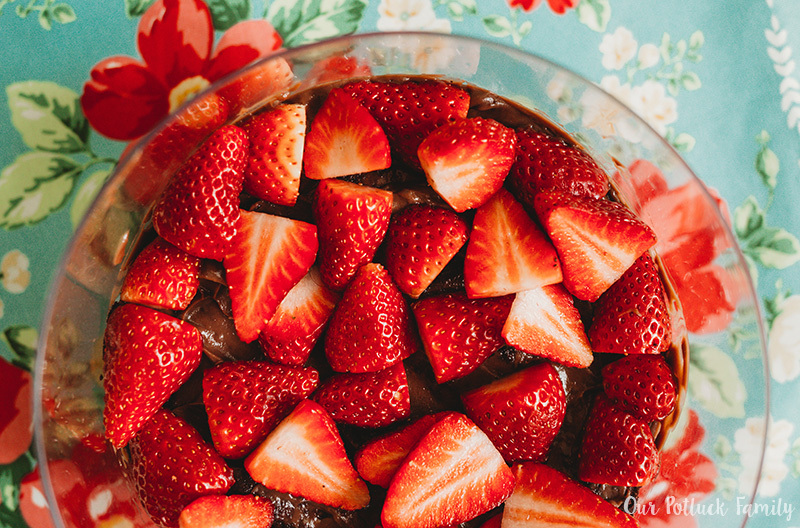 This Chocolate Strawberry Trifle Dessert recipe takes under 10 minutes to prepare and is absolutely delicious! Begin by gathering the ingredients. The most challenging part is preparing the instant chocolate pudding. Combine the package of dry ingredients and 2 cups of cold milk, whisk it together, and let it sit for about 5 minutes to set. 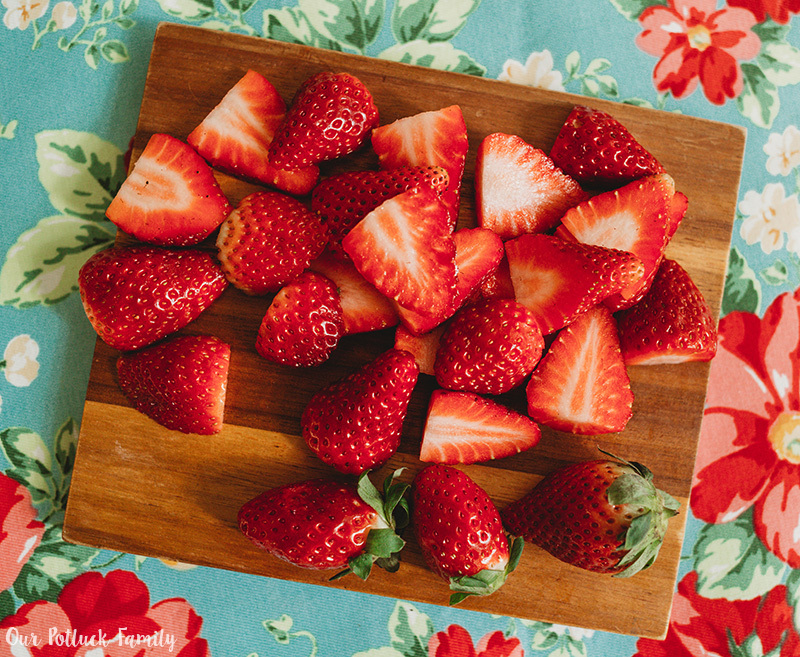 In the meantime, prepare your Fresh from Florida strawberries. I rinsed and dried them, sliced off the top, and halved each one. 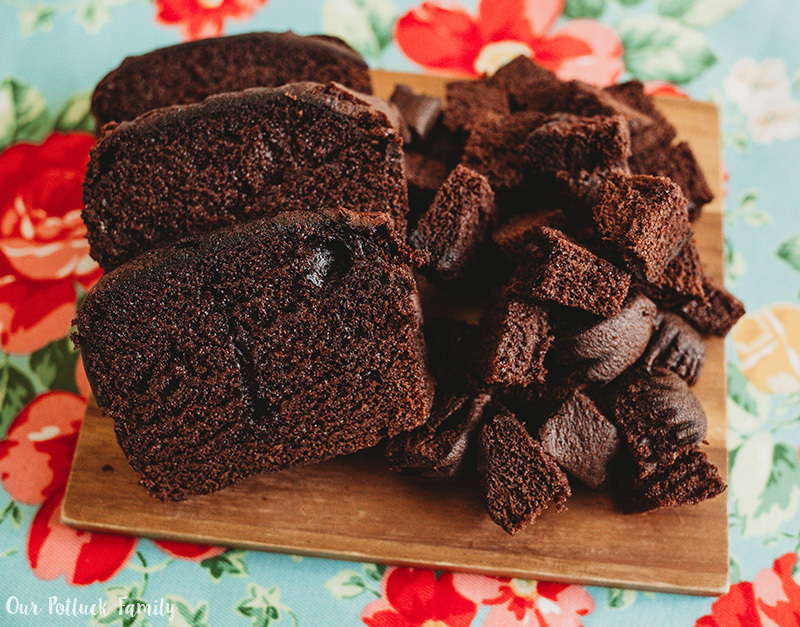 Cut the prepared chocolate pound cake into bite-sized cubes, about one inch each. Next up, assemble your dessert. I began with a layer of the cubed chocolate pound cake, followed by a layer of chocolate pudding, and a layer of strawberries. Repeat this cake-pudding-strawberries sequence again. Once your chocolate strawberry trifle layers are assembled, just top with whipped cream and dark chocolate shavings. Serve in individual dessert glasses.